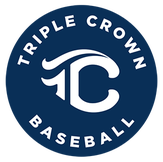 Completed Triple Crown roster with parent digital signatures. TCS will provide 3 game balls per game. Game Times Available: Wednesday prior to the tournament by 7:00 p.m.
New event in beautiful city of Prescott. Spots are limited and are expected to fill up fast.